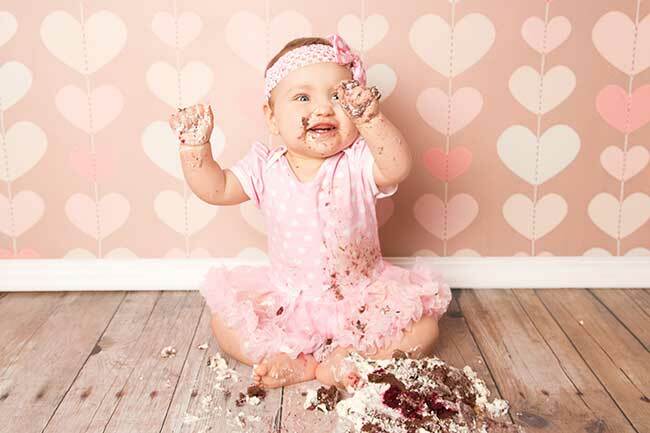 Parties for babies are becoming increasingly popular. Once upon a time, parents didn’t start thinking about hosting a birthday party until their child started making friends at childcare. Today, first birthday parties are a family affair with grown ups demanding cake that not only looks good, but tastes nice. My niece turned the BIG 1 the other day and the party featured a wonderful morning tea spread which, in another wrapping, could’ve been fit for a lady’s high tea. When I was served a piece of the 1 shaped chocolate cake, I took a bite expecting simple flavours, but instead discovered delicious cakey goodness. I commented to my brother (father of two) how delicious the cake was and he said “Yeah we decided to keep it simple this time and concentrate on the flavour rather than the shapes”. That’s why I think the best first birthday cakes are those that are both visually beautiful and delicious. Well worth the effort. And that’s the tough thing about making 1st birthday cakes. Is the baby really going to eat much of it anyway or are they just going to sit in it? While I was enjoying my slice of cake, my niece was proceeding to get it all over her nappy, legs, arms and face. And why not? It’s her birthday, afterall! Whether you’re keen to keep it simple with a cake topper or go crazy creative, be sure to focus on the flavours and, if you want to shape the cake into visually eye-catching forms that look absolutely amazing on a table (and gorgeous in photography), consider using a tried and true cake recipe you love and going from there. For inspiration, here are 30 1st birthday cake ideas, some of the best-looking finds on the Internet. These days, there are so many cake toppers available to choose from that it’s easy enough to whip up a simple cake and let your cake topper do the talking. However, carving some of the more simple cake shapes can be quick, yet rewarding – and that’s where the Number 1 cake comes into the picture. Gorgeous pink iced cake with floral decoration. Is Dad a builder? Here’s a fabulous ‘like father like son’ inspired construction cake that might fit the bill. This ultimate in personalised cake decorating, PhotoCake lets you create unique designs with a photo, logo or sentiment in a range of shapes, including round and rectangular, that can be added to your cake. Keep it simple! This plain, multi-layered cake may be big, but it features simple white icing, all ready for colourful cake toppers of your choice to be added. Here’s a healthy, tasty cake recipe baby can enjoy without feeling bad about filling them with sugar! Banana and apple all the way. There are so many kid’s TV shows, movies and books out there these days, it’s often hard to choose. A cake like this is possibly more fun for Mums and Dads, Aunts and Uncles, Nieces and Nephews, but what baby doesn’t yet know won’t hurt baby! They’ll still find it the yummiest thing they’ve possibly ever eaten! Take baby’s first lego to a whole new level with these big blocks of colourful goodness. You’ll have no problem with baby sticking this in the mouth! This lego recipe is a great starting point or check out the video below to see another option. Sure, baby’s too young to fully appreciate the value of these little guys, but the older kids will love it (and the Uncles!). 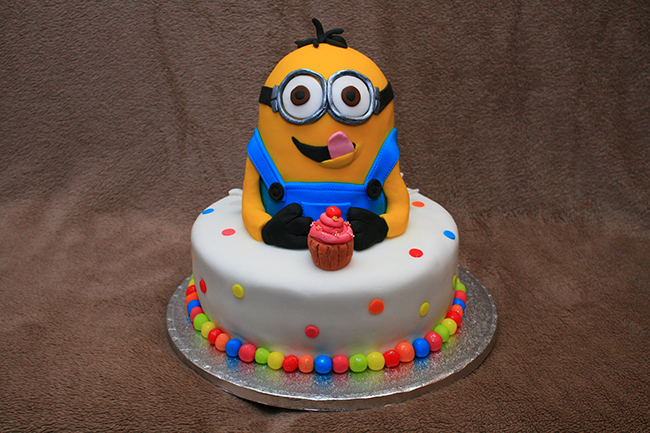 Here’s a great decorating tutorial for a Minion cake. When it comes to 1st birthday cakes for boys, you’re never too young to be a pirate. Aye, here’s a pirate face cake recipe that won’t leave guests wanting to run away to the high seas. Your child will read the Harry Potter books one day. Get them passionate about reading early! What a great first birthday story. Here’s a Harry Potter Sorting Hat birthday cake recipe for your visual and consuming pleasure. 1st birthday cakes for girls are a tricky thing to get right as you don’t want to always go for the easy pink option. While you also don’t want to encourage out of tune renditions of ‘Let It Go’ too early, this Frozen cake will be popular among the siblings and the other little ones that attend your baby’s birthday celebration. With this cake your baby will be the most popular kid at the party without even needing to say a word. Here’s a ‘how to’ video below or check out this Frozen Elsa Cake recipe. For something more suitable for the baby’s age bracket, here’s an Elmo cake recipe that is light on the difficulty and the fur. Hire a puppeteer to perform at your show and your work is done! Never work with children and animals, unless it’s a first birthday party of course! 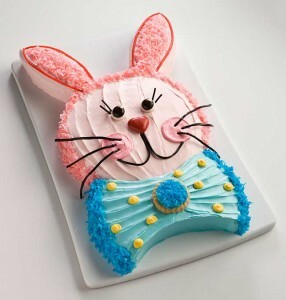 These cute cakes will inspire lots of ‘awwws’. Keep things simple, yet creative with this very pretty butterfly cut out cake recipe. Because all little people appreciate the fascination of insects, with the lady bug being the prettiest of them all. This lady bug cake is bold and beautiful. Classic, wholesome Beatrix Potter at its best. Complement the fine china gifts with this gorgeous Peter Rabbit cake. Print out the recipe here. Make baby’s first encounter with a worm be a delicious one. This gluten-free, dairy-free, vanilla worm cake is much better than a garden mud cake! Stamp out ophidiophobia (fear of snakes) early with this tasty cartoony snake cake. Never say no to Panda. Get a yummy Betty Crocker panda bear cake recipe here. With a jaw full of lollies, everyone will scream with excitement at this shark cake. Your baby will love smooshing this gorgeous turtle cake all over their face. Just go with it. Little bundles of fluffy goodness, cupcakes are an easy-to-share alternative. Also, baby can happily ruin just one of them! Babies and baby animals all at the one party? Cuteness overload. 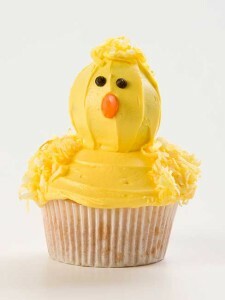 Find this cute chick cupcake recipe here. For something pretty, learn how to make flower garden birthday cupcakes. This ladybug cupcake decoration is super simple and super cute! Here’s a friendly clown who won’t give your baby nightmares for years to come! Gobble up this clown cupcake. These colourful treats are great for parents who have no patience for the rainbow cake! Check out this easy mini rainbow cupcake recipe and breathe a sigh of relief. Bring your baby into a colourful world full of sunshine, rainbows and lollipops. They deserve to enjoy all of that and more in this age of innocence. Baby’s first signature! All the adults and kids at the party will love this simple cake. Just create a blank canvas and let others do all the work! You might even like to get everyone to write a first birthday message. What a wonderful photo opportunity, with ever-lasting memories to share as your child gets older. So easy! Place colourful sprinkles INSIDE the cake. Magical! Check it out here. Up for a challenge? Here’s a cake baby can smash up with glee and everyone else will be perfectly happy about it. Parents can even join in. Photos and recipe here. 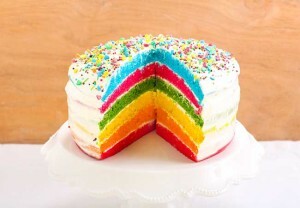 A loving take on the popular rainbow cake. Tricky, but effective result. Check it out here. A purple ombre take on the rainbow cake with hundreds and thousands as far as a baby’s eyes can see. This Rainbow Smartie Cake is another easy yet colourful alternative, great for the home baker who wants to focus on the sponge quality!